Our eye care center is proud to offer custom LASIK technology for any patients that desire this level of precision. During your initial patient consultation we will answer any of your questions and make sure you are completely knowledgable about this amazing LASIK advancement. 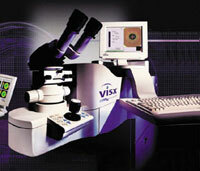 Midshore Surgical Eye Center's physicians have chosen the VISX Custom Vue Technology by Abbott Medical Optics. Wavefront technology has been used in LASIK vision correction since 2005. This recent technology has reduced aberrations after LASIK and simply made vision more clear for LASIK surgery patients. CustomVue laser vision correction is an exciting, new procedure that incorporates WaveScan wavefront technology and the patented, FDA-approved VISX laser to create a highly effective, personalized treatment plan for patients.